In 2007, Esquire Magazine named Gianni Agnelli (1921-2003), the Italian industrialist and head of the car giant Fiat, one of the five best dressed men in the history of the world, alongside Gary Cooper, Beau Brummell, Edward VIII and Pope Pius V (1504-72), who is by many supposed to be the inspiration for character Santa Claus. All centipedes are predators. They kill their prey with poisonous claws attached to their heads. The Giant Centipede is 30cm long and kills small mammals and reptiles. It is extremely painful to be bitten by one. 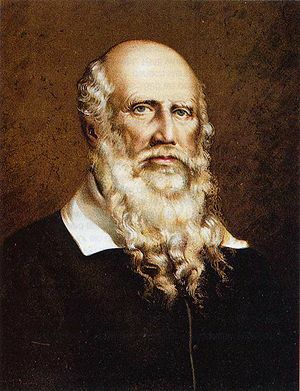 In 1811, Friedrich Ludwig Jahn (1778-1852) invented gym. A German nationalist known as the Father of Gymnastics, he invented the parallel bars, the rings, the balance beam, the vaulting horse and the horizontal bar. The German philosopher Martin Heidegger (1889-1976) was of peasant stock and was persistently mistaken by both students and colleagues at Marburg University for either a janitor or a heating engineer. Martin Luther (1483-1546), the man who is often credited with starting the Protestant Reformation, was the son of a miner. He was a law student at Erfurt University in July 1505 when he was struck by lightning and thrown to the ground. Seeing this as a sign from God, he vowed on the spot to become a monk, which he did two weeks later.